A couple weeks back my niece emailed me to ask if I’d be interested in attending a star gazing event with her at her school. Of course I was interested I replied. I checked in with the event organizer, a member of the St. Louis Astronomical Society, about bringing my telescope and assisting at the event and was told that they would be happy to have another telescope on hand. This was my first time to attend a public star party and I’m happy to report it went over very well. I’d estimate attendance at 25-35 folks with 6 or so scopes and fairly clear skies. We had a bit of light cloud cover but it didn’t last long. The area is subject to a bit of light pollution as well as a good bit of moon light but viewing brighter objects was no problem. I stayed on the Owl/E.T. cluster most of the night and am happy to report that everyone that viewed the cluster got a kick out of seeing the E. T. figure in the eyepiece! 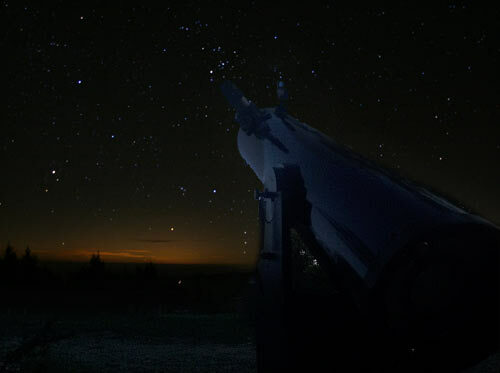 Other scopes were showing off Jupiter, the moon, and the Andromeda Galaxy. All in all it was a successful event. I was thrilled to have a chance to meet several members of the SLAS. Of course I was quick to invite them all out to view from our dark skies in Madison County and am sure they’ll take me up on the offer. I also received some excellent advice from one of the experienced members of the SLAS, John, on a few technical aspects of my scope. One of the great benefits of events like these are the opportunities for learning from more experienced members and I look forward to learning a great deal more from John and others. I’m also happy to report that I shared our efforts to build science literacy in Madison County via our Geek Parade and in discussing it with their members received at least one offer of a guest lecture/presentation to our group! 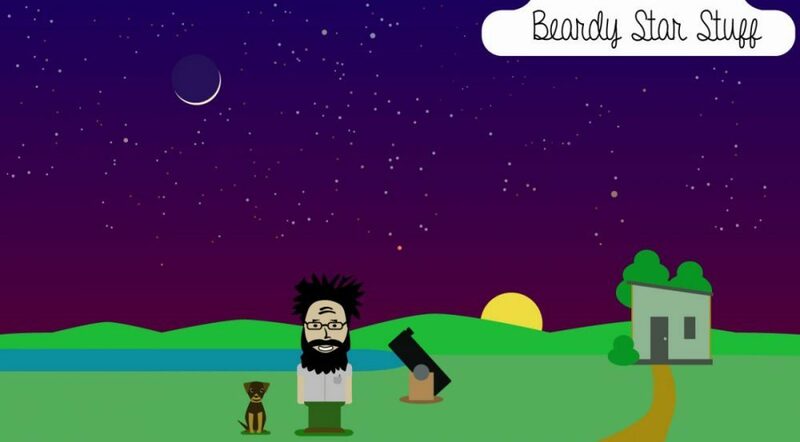 This entry was posted in Astronomy, Science, Science Outreach on November 22, 2012 by Denny.